Rage In Eden – new Cold Fusion and The Joy Of Nature CDs – Chain D.L.K. “Rundfunktechnische Versuchsanstalt” – the experimental radio engineering outpost created in Germany in July 1940. 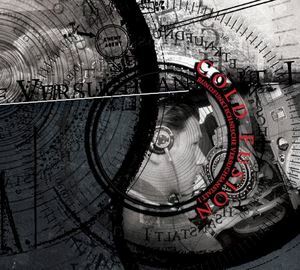 Cold Fusion’s next record; this time you will find some compositions on the CD that were available earlier on previous publications, i.e. “Parabellum”, “63 days”, “The Sound Of Nothingness”. Additionally, the CD has been enriched with several tracks that have never been published before. Graphic design by Łukasz Pawlak – REQUIEMSTUDIO.PL. Limited edition (up to 70 CDs only), packed in a wooden box with an extra Cold Fusion‘s badge. 09. And You Shall Play For Me…! Anitya is that which has no existence in the beginning and no existence in the end. Its nature is impermanence. The record was created in two different and very special periods of time and it musically unites both western and eastern sounds. The tracks contained are the musical expression of different kinds of dreams. It consists of folk, experimental, psychedelic and industrial elements, and even classical music but sounding, at various places, like ritual music. The structures of the tracks owe as much to classical as to psychedelic music. A special limited edition with up to 60 CDs only, packed in a wooden box together with The Joy of Nature’s badge plus an additional CD released by a Portuguese label Lurker’s Realm.The Joy of Nature’s CD has been recorded in remembrance of their first concert that took place on mainland Portugal. The publication was exclusively offered to the event audience. 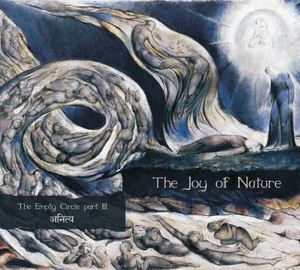 Now, it has become available on the special edition named The Empty Circle, Part III ANITYA.